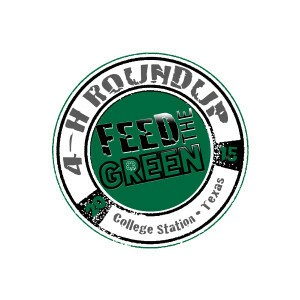 The 2019 Texas 4-H Roundup is held in College Station, TX on the campus of Texas A&M University from June 10th to 13th, 2019. Roundup is a qualifying and invitational event for youth between the ages of 9 and 18 that have successfully placed in a qualifying event at the district level or signed up to compete in an invitational event at the state level. County and District Roundup’s are open to all ages of 4-H members from 9 to 18. Roundup includes approximately 50 different contests and workshops. The workshops test 4-H members on life skills in such attributes are decision making, public speaking, organization, and working with others. In Addition, these contests include such things as a Fashion Show, Food Show, an assortment of judging contests and educational presentations. For more information, click here. Good luck to those participating in the Texas 4-H Roundup! Make Lochte Feed and General Store your show headquarters. We carry a great selection of show feed, supplements, and supplies. This entry was posted on Thursday, April 12th, 2018 at 12:37 pm	and is filed under Events, News & Updates. You can follow any responses to this entry through the RSS 2.0 feed. Both comments and pings are currently closed.